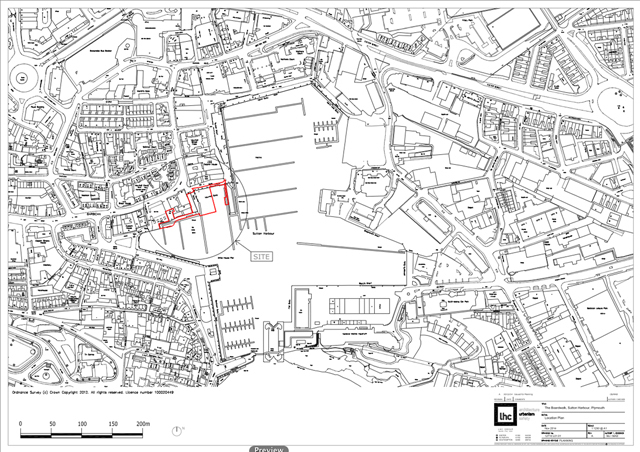 Sutton Harbour Holdings plc has submitted a revised planning application for its Boardwalk harbourside regeneration scheme in Sutton Harbour. The ‘substantially reduced in size’ Boardwalk is a key part of the Sutton Harbour Vision that aims to create more than 1,300 jobs and generate £48million per annum for the local economy by regenerating sites around the harbour over the next five to 10 years. The latest scheme includes major changes to the original plans in response to extensive consultation with stakeholders including local residents, businesses, Plymouth City Council, English Heritage and the Environment Agency. The Boardwalk includes a decked walkway over the Harbour to link Guy’s Quay with Vauxhall Quay, creating a continuous waterfront route that connects with the northern and eastern sides of Sutton Harbour. The reduced size Boardwalk scheme would include two restaurants – instead of four – and one pavilion instead of three kiosks. Jon Turner, director of projects at Sutton Harbour Holdings plc, said: ‘The Boardwalk remains a vital element of the Sutton Harbour Vision and we have taken on board a wide range of comments resulting in a redesigned scheme which is substantially reduced in size. ‘We have cut the amount of commercial space by half so there are two restaurants instead of four, and just one pavilion instead of three kiosks. The two restaurants are now single storey, and the boardwalk itself is smaller so there is much more open water. “The new design is also more in keeping with the local setting and borrows its design from local buildings like the old Fish Market and the timber and stone warehouses that originally lined the Harbour, so the new buildings will be clad in timber and glass. Mr Turner said the revised plans, which have now been submitted to Plymouth City Council for determination, had been well received during a consultation event in October with more than three quarters of attendees agreeing that the changes were a step in the right direction. Peter Hartland, chief executive of Plymouth Chamber of Commerce said: ‘I welcome these plans for the new Sutton Harbour Boardwalk. Amanda Lumley, chief executive of Destination Plymouth, said. ‘Our ambition is that Plymouth will be the UK’s premier marine city by 2020, famous for its waterfront, and we need the sort of quality investment being proposed in the Boardwalk to make that a reality.